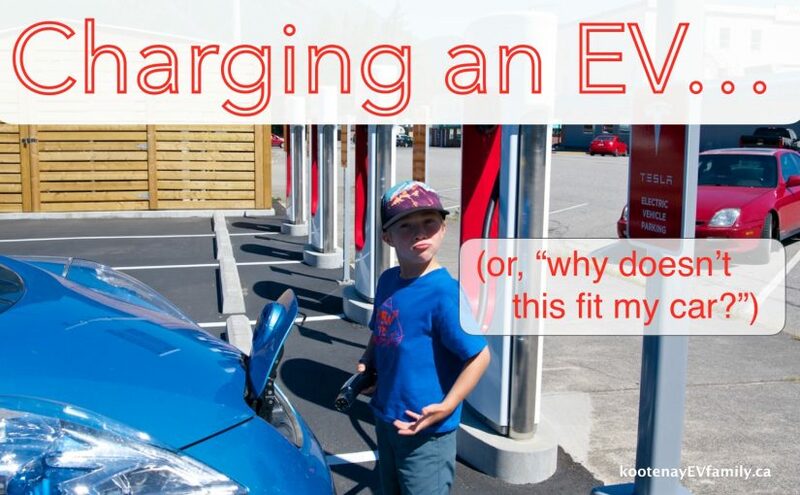 Charging an electric vehicle (EV) is really easy and takes less time than filling your gas car – all it requires is changing the way you view ‘fuelling’. Rather than having to stop at the gas station multiple times each week, I simply pull into my carport and plug in my car each night! If you drive less than I do, you probably wouldn’t even need to plug in every night. Now having just written above that charging an EV is easy, I’m going to add a few caveats to that statement – travelling with your EV beyond its range requires more thorough planning (see further down the page about PlugShare), and you will need to spend a bit of time initially to determine what ‘type’ of electric vehicle supply equipment (EVSE) you will need to use regularly. This is entirely dependant on how far you expect to drive each day. 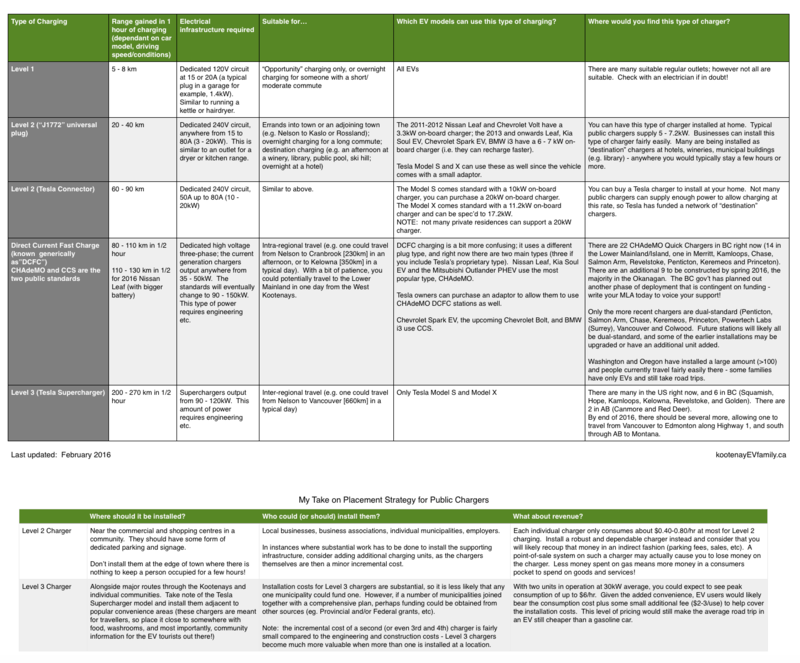 I have included a table below that shows different usage scenarios and suitable EVSEs for each (click the table to enlarge). It also shows the difference between the different “Levels” of charging (e.g. Level 1, Level 2, DCFC; or how I refer to them as slow, medium and fast!). 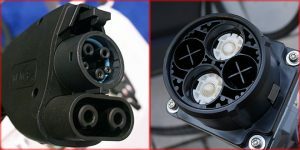 DCFC has 2 different plug types for public stations, CHAdeMO and CCS (and a third proprietary standard used by Tesla, currently “superfast” – actually, it is the Supercharger!). Thankfully almost all new installations of DCFC chargers are including dual standard chargers, so all vehicles are covered. As you can see from the chart, if you leave your car plugged in overnight using Level 1 charging (after all, you can’t drive it while sleeping! ), you can expect a minimum of about 50 – 80 km of range by the time you need to go anywhere in the morning. If you have a carport or garage, you are probably ready-to-go right now! To use an outdoor plug, I would recommend upgrading it to be a weather resistant style, and double-check that it is on a GFCI. If you live in a strata (like we do), you will need permission from your council to have it installed (more details at this PlugInBC page on stratas). This portion of the cost is highly variable and could be anywhere from a few hundred dollars up to perhaps one thousand. 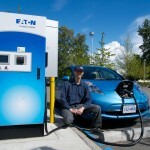 If I had to do it over again, I would instead purchase a portable Level 2 EVSE, like the EV Duty linked above. The unit costs about the same, but instead of hard-wiring the unit to the wall, you can instead plug it in to a 6-50 receptacle (or with the right adapter, a 14-50 receptacle, again have this wired by an electrician), and if you ever move, or travel to a friend’s house, you can just bring your Level 2 EVSE with you! EVSE Upgrade sells all sorts of adaptors and will even upgrade the basic unit that comes with most vehicles to be more powerful. 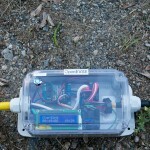 For the more DIY crowd: another option is to build your own Open EVSE from kit parts, or to buy a pre-built EVSE built to the same standard – I purchased a unit from BSA Electronics and have used it on a number of my road trips with great success. 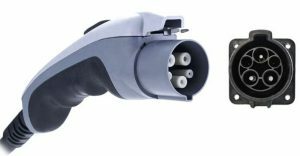 If you buy one of the 240V capable EVSE’s linked above, you can use the 240V/50A 14-50 outlets at RV parks to get up to 40A of power – that will allow you to charge at full Level 2 speed for almost all EVs on the road in 2017. 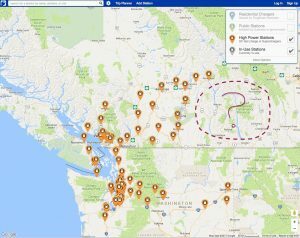 But, good news, the network of public chargers is always expanding (and is well established in the Lower Mainland and Okanagan), and so is the Direct Current Fast Charging (DCFC) network. A DCFC charger can give you up to 80% of your charge in 30 minutes! That makes road trips much better than using Level 2 infrastructure. Level 2 will always have its place though, for shorter trips and for “destination” charging. Check out this video I made to show how to use a DCFC in BC, and how fast it can charge your car. Click to enlarge – this map showed the status as of Sep 2015 of DCFC units in BC: red icons show chargers that are constructed and operating, blue/yellow icons show future stations (to be installed by mid 2016). An additional phase is being planned at the moment, though it has yet to be finalized and still requires additional funding to be implemented. 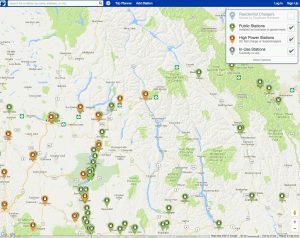 As of March 2017, first 30 in BC are done… more coming soon I believe! 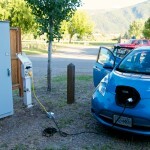 Speaking of charging infrastructure, you will of course want to know how to find public charging stations! 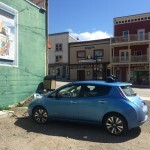 Many of the EVs with navigation have a built-in “charger finder” system, but I wouldn’t rely on them to be up-to-date, especially in remote parts of Canada. Instead, head over to PlugShare, the most comprehensive source of public infrastructure. If you create an account, you can also see personal charging points that other users have shared, and you can share your own if you wish (ours is listed, just look in the Fairview area of Nelson). Information is crowd-sourced, and users leave valuable feedback on how reliable the charger is, and what types of services might be available nearby. Wikipedia has a pretty comprehensive article on the technical aspects of EV charging if you want the nitty gritty. 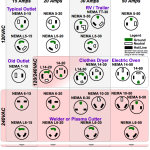 Click on the first image in the photo gallery below to see an example of each type of charging, Level 1, 2 and DCFC. The Open EVSE has a clock and shows time elapsed for charging. It is watertight and all of the settings are accessed using the one button with a combination of long and short button presses – pretty intuitive actually. I have adaptors for the straight-blade RV plug (TT-30), new electric dryer (14-30) and new range (14-50). There are quite a few types of 240V receptacles out there!! Thanks to By Orion Lawlor – Own work, CC BY-SA 3.0, https://commons.wikimedia.org/w/index.php?curid=15900896 for this image. I also looked at the BSA product, which mods the Open EVSE product listed above, and looks great/functional with the custom work particularly those long braided cables. But as much as I like the looks of the product, functionality and the company history, it looks like there is an 18 day build wait. A 40amp unit will be plenty, even my 30amp unit will fully charge a large Tesla battery pack overnight. Either one looks like it would be a fine option. I do like the idea of connected units, particularly ones that would allow a schedule to be programmed (my charger has a delay timer, which I use to have the car start charging at roughly 3am so it is fully charged just before I leave for work). They are a bit more expensive, but I think have some additional features. 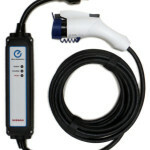 Having said that, since I haven’t shopped for an EVSE in a while, I’m not up to speed on the best solution out there. When I was looking for a secondary charging system to supplement my Tesla HPWC, I looked at Juicebox. At the time, it didn’t have the necessary approvals to make it a safe choice in Canada – at least, not if you wanted your fire insurance to remain valid! Since that time, I understand it has been upgraded to meet Canadian safety requirements. I liked the idea of the Juicebox because of the wifi and metering abilities. However, I ended up with a FLO X5 instead, because the FLO also does metering and talks to the cloud, but with the approvals I needed at the time. So far so good with the X5. I would buy another if I needed one, but I’d now consider the Juicebox too. Finally, another option that most people don’t consider is the Tesla HPWC. It’s a pretty solid unit and allows you to load balance with another HPWC on the same circuit. 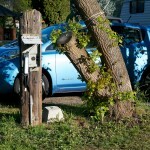 However, it has the typical Tesla plug on the end of the cable…which – surprise – you can still use with a J1772 vehicle! I picked up a JDapter Stub, which also sells under another name that escapes me at the moment… it lets me plug my Tesla HPWC into the J1772 connector in my i3.